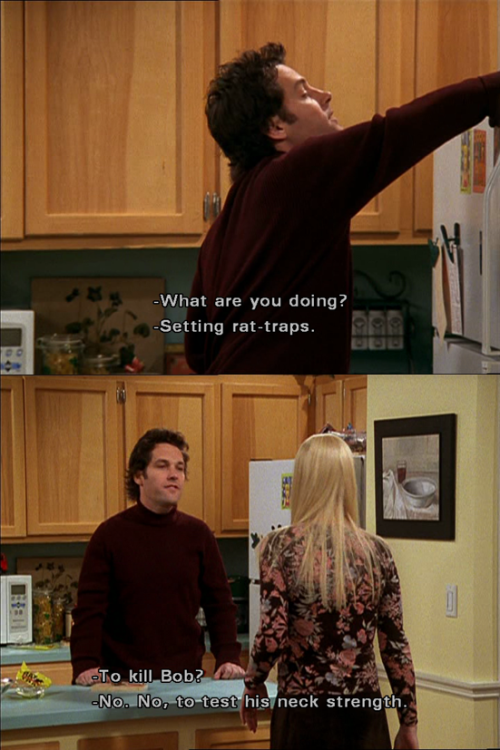 Phoebe Buffay kept rat babies. They had names, regular feedings, and a bedtime schedule. 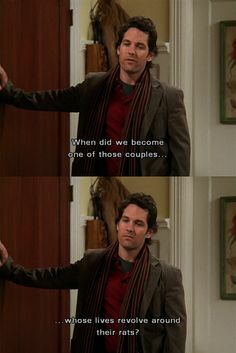 We Friends fans snickered as Phoebe and her boyfriend rearranged their priorities to accommodate their new parenting responsibilities. Ah, that wacky, zany situation comedy! This next part isn’t a joke…I once cared for a rat who taught me valuable lessons about parenthood. I was taking a psychology class called Behavior Modification. My lab partner and I were responsible for training a rat. We named him Sam. 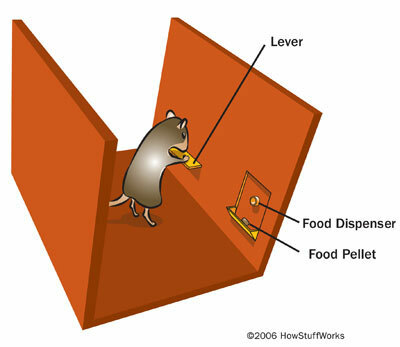 Several hours a week, we placed Sam in a specially rigged box and gradually taught him to retrieve food pellets by pushing a lever. At the beginning of the semester, oblivious Sam ran aimlessly around the box, unsure of the rules or expectations. We worked with him, consistently giving the same responses to his behaviors. By the end of the semester, that little dude had the routine down cold. As soon as we put him in the box, Sam would head right for the lever and scarf down his pellets. About a decade later, my own babies (humans, not rats!) started showing up. As signs of spirit, personality, and attitude emerged, I realized that I was now responsible for training them. This included teaching them to obey me. The key to teaching obedience is consistency. Before I go any further, let me explain what I mean by teaching obedience. I believe in the importance of honoring a child’s unique, God-given personality. It has never been my goal to shame my children, break their spirit, or turn them into robots. Even the most challenging personality traits can be turned upside down and used for good. But until your child obeys you, he won’t be ready or able to learn anything else from you. Consistency means being predictable. Imagine playing in a baseball game where the rules keep changing. Your opponent gets five strikes before the umpire finally calls “Out!” You thought the rule was three strikes, but OK, whatever. Later, you step up to the plate and after only one strike, the ump sends you back to the bench. Frustrating, isn’t it? Now imagine being a child – a person with virtually no power or authority – and living in a household where the rules change willy-nilly. Yesterday, you gave him five chances to do your bidding before taking away his favorite truck. Today, he told you “No” one time, and then you took away his Screen Time for a week. How will he react? With rage. With resentment. With frustration. He never saw that punishment coming because your reactions are unpredictable. When I throw a toy… Dad will send me to time out. When I misbehave at the park… Mom will take me home. When I play with Grandma’s china… I’ll have to stay out of the living room for the rest of my visit. When I leave my dirty laundry on the floor… Mom will make me stop what I’m doing and clean it up. How scary the world is for that powerless child when she doesn’t know whether you will punish her, hug her, or ignore her! Consistency means keeping your promises. If you said, “We’re leaving in 5 minutes” then leave in 5 minutes. Don’t cave to pleas for “One more minute, Dad!” Because one minute turns into three, which turns into ten. And when you really are ready to leave, your poor kid – who cannot figure out WHAT you really want – will frustrate you, just like you’ve been frustrating him. Consistency means following through. When you’re tired, when you’ve had a crappy day, when you don’t feel like arguing, when it seems easier to throw your hands up in the air and say “whatever”… DON’T! Can I tell you what motivates me to follow through, even when I don’t feel like it? The awareness that if I don’t address this drippy faucet now, the basement will soon be flooded. So I told Curly Sue to put away her shoes, yet they’re still sitting in the middle of the floor. Is it really that big of a deal? Can’t I just put them away myself? The answer is “No, you can’t.” The shoes aren’t that important, but YOUR AUTHORITY IS. If you don’t follow through, Curly Sue will think that all of your directives are merely “suggestions,” rather than mandates. Children are not born with an innate “Hey, I should obey my parents” sense. They obey because they are taught to obey through consistency, clear expectations, and consequences. If you lack consistency in parenting, then you are confusing your child. They may think that whining, complaining, begging, and throwing tantrums are OK, because those techniques usually get them what they want. They may think that they can behave however they wish, because your threats are mostly hollow. If you are having trouble getting your child to obey, check yourself for consistency. Like Phoebe’s boyfriend, you just might find a few problem spots to be addressed. Thanks for your feedback, Mercy. You bring up another good point: Parents presenting a united front. Perhaps another good topic for the blog 🙂 Best wishes. Well thought out rules can actually bring great safety and be very freeing for children (and adults alike!). That’s a great point. We don’t normally think of rules as something that free us, but children thrive when they are certain of the boundaries. Thanks for reading!